Expect stag do's, great pubs, live music, and a serious lack of Irish people. The Temple Bar area at night is full of tourists and it is brilliant. It's the Ireland you picture, with live music in every bar and everyone jumping up and down and dancing. It's full of life and a really great area for a pub crawl. This was our favourite pub in the Temple bar area, great food and brilliant live music that got the whole pub dancing. With a menu full of classic pub food this was the perfect place for us. Then once the food was over we jumped up and joined the rest of the pub dancing to the band, the atmosphere here was great. As it happens when we got to the pub the only irish people there were behind the bar. BUT despite not getting what we wanted from O'Niells, what we did get was a whole lot of food. 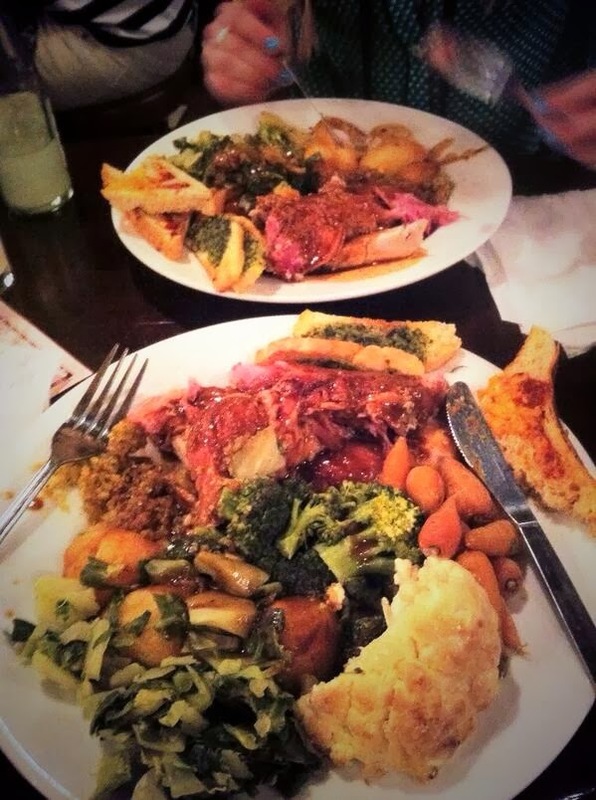 If it is massive portions you are after this is the place to go, and the best bit? It was also super cheap. Giving up on our dreams of finding where the people of Dublin go out we headed back to Temple bar, but as it happened we met an Irish group who took us to a club in the 'real' Dublin. Away from the Temple Bar area Four Dame Lane is slightly less touristy. As it happens the Irish party in the same way as the English so while we had a great night it really wasn't very different to going out at home. Deciding we were tourists through and through we stuck to the Temple Bar area for the rest of the weekend. This was our absolute favourite night. 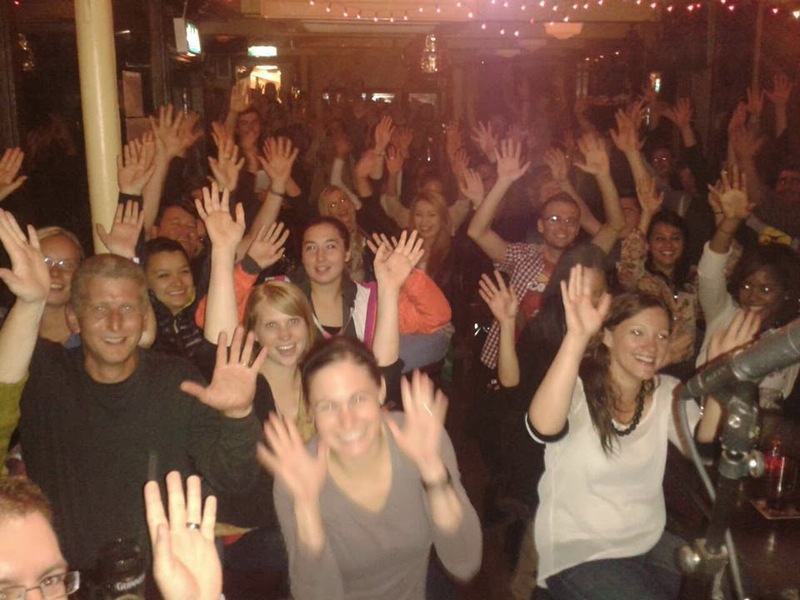 A crowded pub, packed with tourists, and really funny line up the Comedy Crunch was a great night. The location was great as was the atmosphere, we both really enjoyed it. Check out what to do in Dublin by day here!